Manila, Philippines- 'Pork barrel' scam issue sparks online outrage and flak. 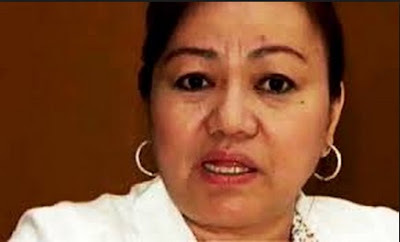 Janet Lim-Napoles now centered on controversy is the alleged 'brains' behind the P10-billion scam or mis-use of Priority Development Assistance Fund (PDAF) by some lawmakers and the P900-million Malampaya Fund issues. Napoles and her brother, Reynald Lim now faced charges of serious illegal detention of Benhur Luy, the so-called primary whistleblower of the scam issue. Luy claimed he was detained by the siblings for three months in a condo unit at Bonifacio Global City in Taguig last year. Over the week, issue rose to peak as Makati Regional Trial Court Branch 150 on Wednesday issued warrant of arrest for Napoles and her brother. Makati RTC Judge Elmo Almeda said that no bail was recommended. However, the businesswoman apparently tipped off and escaped the long arms of the law. Justice Secretary Leila de Lima said that Napoles is now considered a “high profile fugitive”. 3 days had passed since the planned arrest but Napoles is still not found. On Thursday, Malacañang appealed to the public to help authorities arrest Napoles and Lim. Public was urged to carry out a "citizen's arrest" of them. Meanwhile, De Lima said that all regional and field offices of the National Bureau of Investigation (NBI) have been alerted to help the 12 special teams of the bureau for the arrest mission. Fugitive Janet Napoles owns at least 28 houses in the Philippines which bring burden for tracking her location now. The National Bureau of Investigation (NBI) will have to deploy more agents than usual to find and arrest if she is hiding in one of those homes and condo units she has acquired in Metro Manila, Laguna, Cavite, Batangas and other parts of Luzon. The Department of Justice (DOJ) on Thursday released the list of vehicles being used by the Napoles family. This will help authorities to arrest the alleged 'pork barrel' scam queen. At least 30 vehicles are reflected on the list under JLN Corporation. Niko Baua of ABS-CBN reports: For those who might spot Janet Napoles, or the vehicles in the list, call the NBI operations center, NBI HOTLINE 524-1141, 0917-5838612. Napoles' lawyer, Lorna Kapunan said she does not know where her client is hiding. "People may think that innocence could best be proven if Napoles faces the music. But, the “media bullying” has also already shaped the public perception of Napoles". Pork barrel is the appropriation of government spending for localized projects secured solely or primarily to bring money to a representative's district. Filipino legislators are allocated large sums of the annual national budget (200 million pesos for each senator and 70 million for each representative) in a program called the Priority Development Assistance Fund. When asked by Malou Mangahas of GMA News TV, Mrs. Napoles claimed that she does not know what pork barrel is. "Unang-una, hindi ako mambabatas, so hindi ko alam kung ano yun". The Commission on Audit (COA) confirmed on Friday that some non-government organizations (NGOs) linked to Janet Lim Napoles received the pork barrel of lawmakers from 2007 to 2009. But, the pork barrel worth P10 billion were channeled to bogus NGOs and ghost projects only.